The pantograph is made of aluminum (P-Al MgSi UNI 3569) and manufactured according to DIN 15560-46. The attachments at both ends of the pantograph are 16mm, male on the bottom and female on the top. The load is supported by a steel cable of 2mm. diameter (safety factor 12). 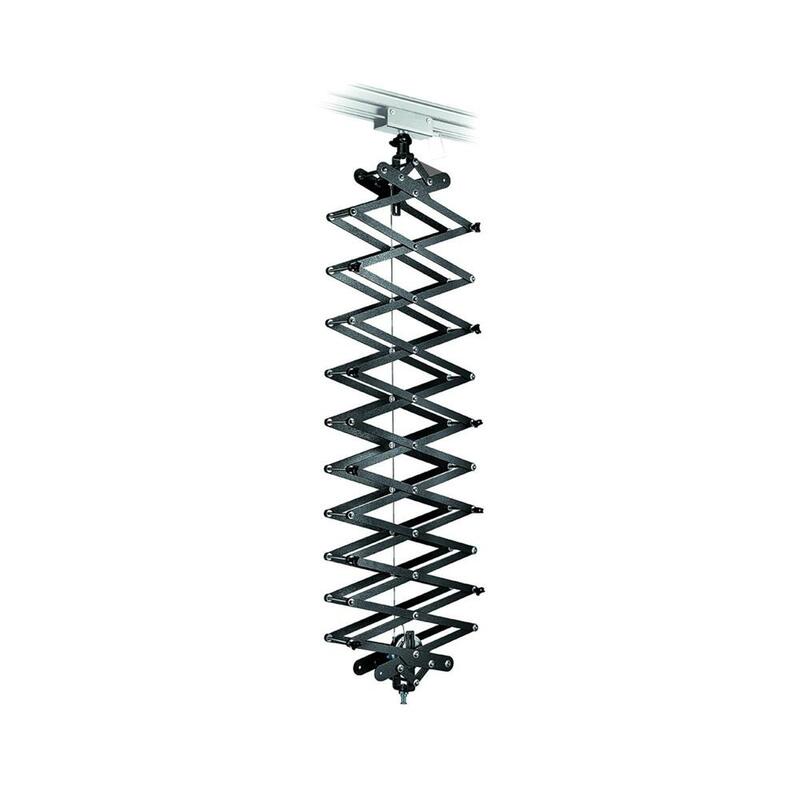 Loads up to 12Kg can be suspended using only the patented friction device, while loads up to a maximum of 18kg require the use of the optional springs. The pantograph can be regulated to keep suspended loads from 1 to 18kg perfectly balanced. By turning the colored notched ring you can adjust the pantograph's friction; this will ensure that the load remains stable when set in position, but that it will move smoothly up and down when necessary. In any case, it is always advisable to use the springs to aid raising your pantograph. When choosing the additional spring(s) for your pantograph, you will first need to know exactly which model of pantograph you have, in order that you can select the spring of the correct length. If you have one of the new compact pantographs (with grey-painted "scissors"), look at the color of notched ring the 2m version has a red notched ring, while the 3.8m version has a blue notched ring.